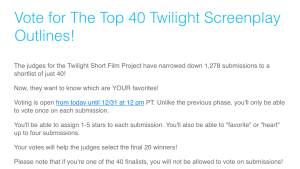 You’re looking at one of the FINALISTS!!!! You read that right, one of the 40 proposals chosen is written by Kallie Ross! 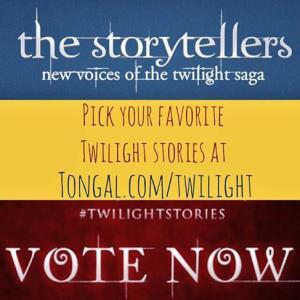 You can vote for your favorite screenplay outlines. The ironic thing is that it’s titled ‘Sisters’, and if it weren’t for my sister I would never have been so involved in the Twilight world. After clicking the link, click on ‘Screenplay Outlines Are Currently under Evaluation’. 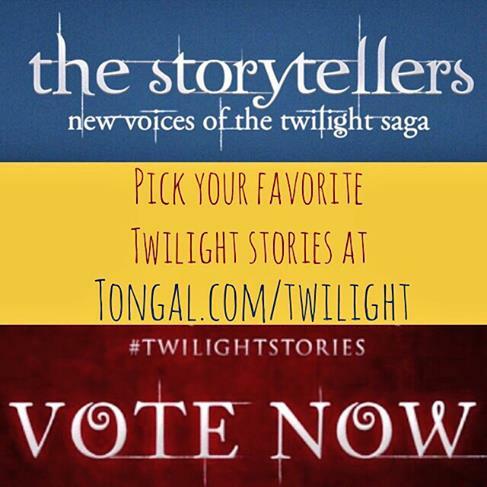 This will take you to a page that has a ‘Vote Now’ button. Make sure to get your votes in before December 31, 2014! 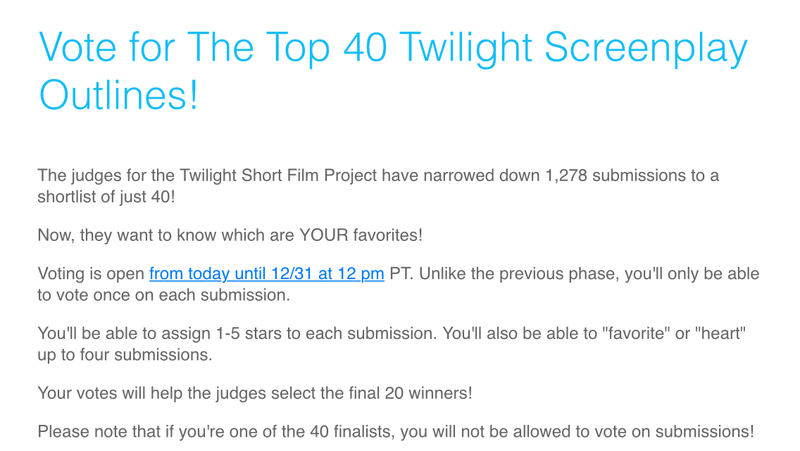 The top 20 will be revealed January 5, 2015.
are the screenplays still available for public read? Log in | 54 queries. 1.027 seconds.